• Asset bubbles in emerging markets, soaring commodity prices, state debt are key risks. • World’s financial system is in better shape than three years ago. • No consensus on how to tackle high state debt. Photo: Aerial Photo of Davos, the biggest tourism metropolis of the Swiss alps, captured before the opening of the Annual Meeting 2011 of the World Economic Forum in Davos, Switzerland, January 17, 2011. 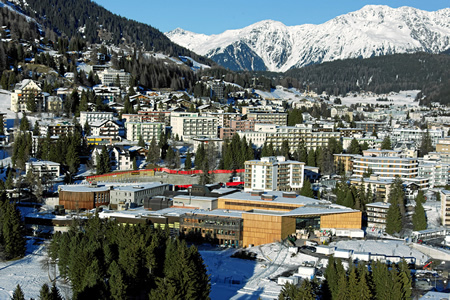 Davos is in the middle of Swiss Alps and the city for holidays, sports, congresses, health, development and culture. © World Economic Forum/Andy Mettler. 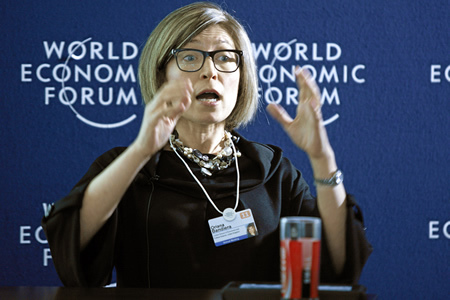 Photo: Oriana Bandiera, Professor of Economics, London School of Economics and Political Science, United Kingdom, is captured during the ‘IdeasLab with the London School of Economics: Doing Better with Less’ at the Annual Meeting 2011 of the World Economic Forum in Davos, Switzerland, January 26, 2011. 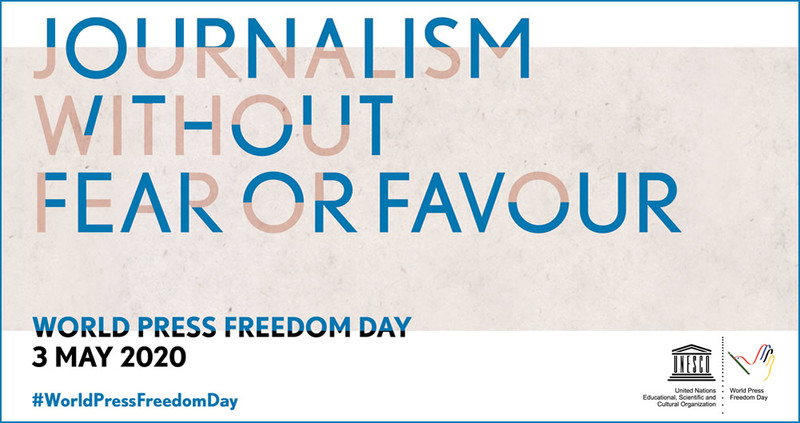 © World Economic Forum/Jolanda Flubacher. 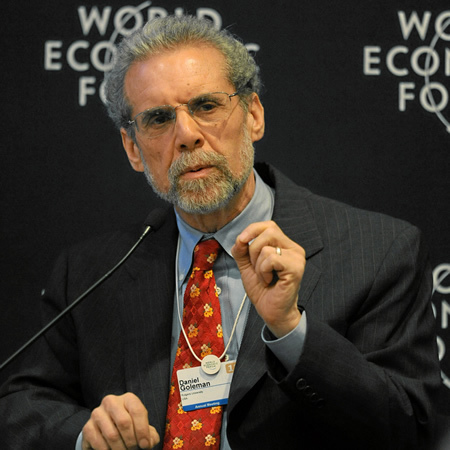 Photo: Daniel Goleman, Co-Director, Consortium for Research on Emotional Intelligence in Organizations, Rutgers University, USA, speaks during the session ‘The New Reality of Consumer Power’ at the Annual Meeting 2011 of the World Economic Forum in Davos, Switzerland, January 27, 2011. © World Economic Forum/Michael Wuertenberg. 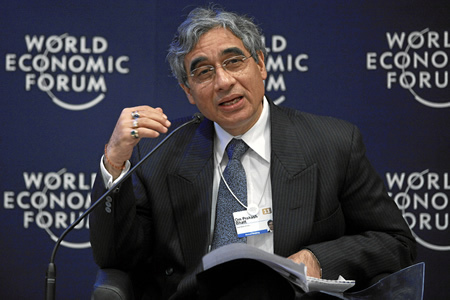 Photo: Om Prakash Bhatt, Chairman, State Bank of India, India, speaks during the session ‘Redeploying Development Finance’ at the Annual Meeting 2011 of the World Economic Forum in Davos, Switzerland, January 28, 2011. © World Economic Forum/Moritz Hager. 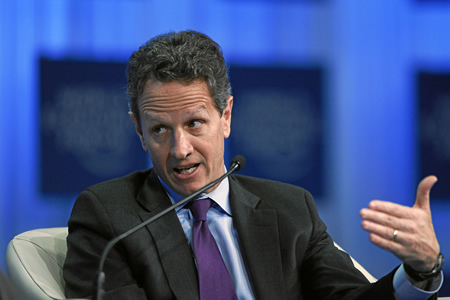 Photo: Timothy F. Geithner, US Secretary of the Treasury is captured during the session ‘Priorities for the US Economy’ at the Annual Meeting 2011 of the World Economic Forum in Davos, Switzerland, January 28, 2011. © World Economic Forum/Moritz Hager. 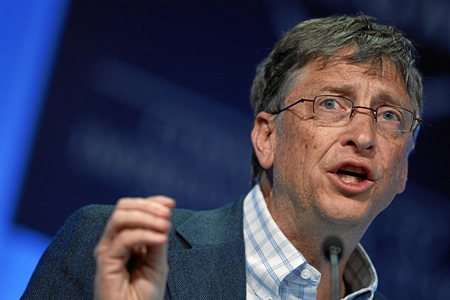 Photo: William H. Gates III, Co-Chair, Bill & Melinda Gates Foundation, USA, speaks during the session ‘Polio: Eradicating an Old Reality Once and for All’ at the Annual Meeting 2011 of the World Economic Forum in Davos, Switzerland, January 28, 2011. © World Economic Forum/Moritz Hager. 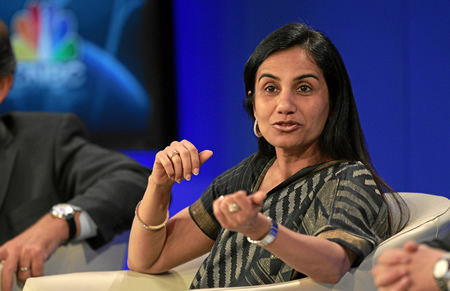 Photo: Chanda Kochhar, Managing Director and Chief Executive Officer, ICICI Bank, India; Co-Chair of the World Economic Forum Annual Meeting 2011, is captured during the session ‘The Global Agenda in 2011’ at the Annual Meeting 2011 of the World Economic Forum in Davos, Switzerland, January 30, 2011. © World Economic Forum/Sebastian Derungs. 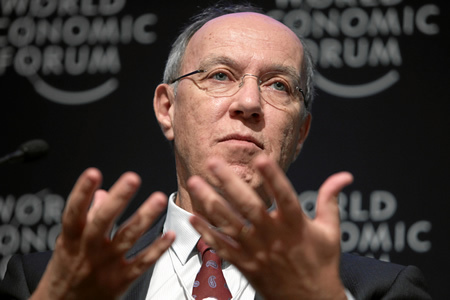 Photo: Francis Gurry, Director-General, World Intellectual Property Organization (WIPO), Geneva; Global Agenda Council on the Intellectual Property System, is captured during the session ‘The Davos Debrief: Policy Priorities’ at the Annual Meeting 2011 of the World Economic Forum in Davos, Switzerland, January 30, 2011. © World Economic Forum/Sebastian Derungs. • Top business leaders see a host of potential dangers facing the world economy - ranging from asset bubbles in emerging market countries to soaring world commodity prices and huge levels of state debt in Europe. However, it is difficult to say just where the next global shock will come from. On the question of continuing low borrowing costs and cheap money in the most-developed economies, one of the factors that contributed to the global economic crash, participants said that they are confident that the lessons have been learnt and that the global banking system has emerged stronger from the test. “I am a little optimistic. I think that we have a stronger system than three years ago,” James Dimon, Chairman and Chief Executive Officer of JP Morgan & Chase, said during a debate on whether the world is now better prepared to face a future systemic shock. But, business leaders were divided on how to approach the issue of huge state debt built up by some European countries during the boom years.. Some saw the need for Europe’s stronger economies, particularly Germany, to take part of the load by supporting, for example, the launch of European Union-backed Eurobonds in support of weaker economies, such as Ireland and Greece. But Dimon warned that any “socializing” of states’ debts, by involving other European Union countries in financing them, could send out the wrong message on the need for fiscal discipline. 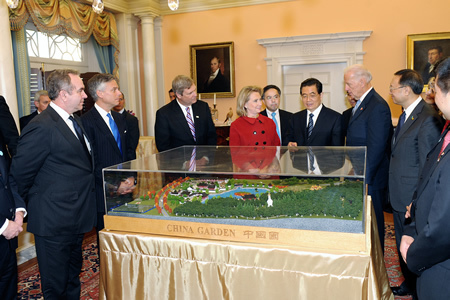 “You have got to make sure that some are not piggy-backing on others,” he said. Team Panama Wins USD $100,000 and Claims the Title of Fastest, Most Accurate Texters in the World. Photo: Sisters from Panama win the 2011 LG Mobile World Cup. At the second annual LG Mobile World Cup, the sister duo, Cristina Sales Ancines age 20, and Jennifer Sales Ancines, age 15, from Panama, were named as the “World’s Fastest Texters.” They defeated competitors from 16 countries to take home the title of LG Mobile World Cup Champions and $100,000 in prize money. Demonstrating their skills using the LG BL20 and the LG GT350, Cristina and Jennifer texted their way into World Cup by winning the final round of game play. Contestants from South Korea were placed second and took home $20,000, while team Brazil was placed third and won $10,000. 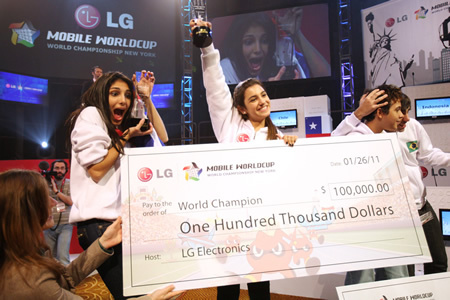 The 2011 LG Mobile World Cup took place on January 26 in New York City. During the competition, players competed in various texting missions. In each mission, contestants were tasked with the challenge of typing in phrases on their LG mobile devices exactly as they appeared on nearby LG plasma screens with no mistakes or abbreviations. Finalists selection for the LG Mobile World Cup began with a series of national texting contests across 16 countries including Argentina, Australia, Brazil, Chile, El Salvador, Guatemala, Honduras, Indonesia, Korea, Morocco, Nicaragua, Panama, Portugal, South Africa, Thailand and the U.S. After several months, 26 contestants were chosen to compete in the hopes of becoming the word’s fastest texter. 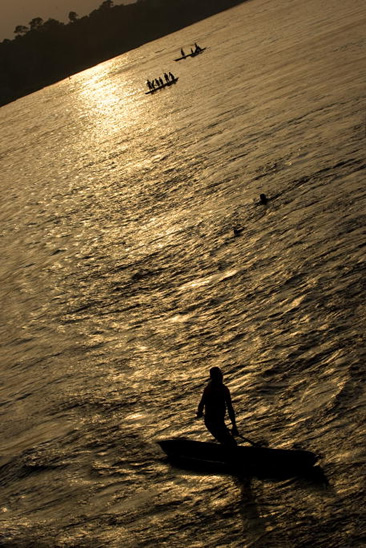 Photo: Congo River at dusk, near Bokatolaka, Democratic Republic of the Congo. United Nations Photo. Photo: A wide view of the Security Council during its open debate, “Post-conflict peacebuilding: institution-building”. January, 21, 2011. United Nations, New York. UN Photo/John McIlwaine. 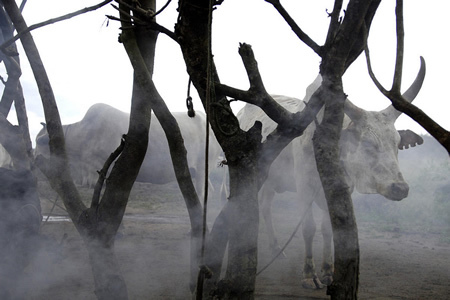 Photo: Cattle of the Sudanese Dinka people roam through their camp on the oustskirts of Nimule, South Sudan. These Dinka were displaced from their homes in a widespread dispute over land. Nimule, Sudan. UN Photo/Tim McKulka. 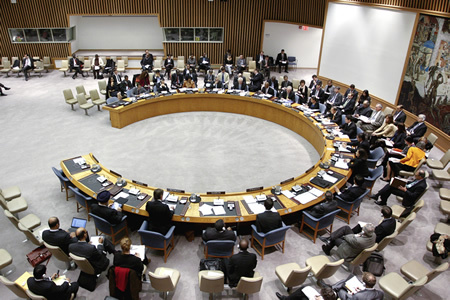 • The United Nations Security Council, on January, 21, 2011, acknowledged the need to continue improving its peacebuilding support for countries emerging from conflict. Peter Wittig (Germany), Chairperson of the Peacebuilding Commission, said institution-building went beyond creating organizational structures. It involved rebuilding on the basis of “new rules of the game”, from power-sharing and rotation and women’s active participation in decision-making to fair distribution of wealth and economic opportunities. Communities and their organizations, as well as the private sector and civil society, must also be rebuilt. In that regard, the Peacebuilding Commission’s role could be expanded to encourage the identification of crucial institutions and mechanisms that could make post-conflict societies more resilient and better able to address tensions and challenges through non-violent means. Also addressing the Council were representatives of the United States, France, South Africa, Russian Federation, Colombia, Brazil, Lebanon, Nigeria, India, Gabon, Portugal, China, United Kingdom, Bosnia and Herzegovina, Egypt, Turkey, Croatia, Afghanistan, Costa Rica, Uganda, Morocco, Japan, Republic of Korea, New Zealand, Mexico, Nepal, Australia, Peru, Ukraine, Bangladesh (on behalf of the Non-Aligned Movement), Armenia, Slovenia, Serbia, Pakistan, United Republic of Tanzania, Benin, Botswana and Argentina. The Council emphasized the need for the United Nations and the wider international community to better coordinate and more effectively help nations stabilize in the aftermath of conflict. Photo: A view of the UN Headquarters Secretariat building from Headquarters’ Rose Garden after a winter storm. January 14, 2011. United Nations, New York. UN Photo/John McIlwaine. Photo: A model shows a creation by designer Dimitri at the start of the Berlin Fashion Week (Foto © Dan & Corina Lecca). Fashion is once again high on the agenda in the German capital. Trade visitors and fashion enthusiasts flooded the event to see the presentations of the designers. Photo: Baume & Mercier’s new ambassador American actress Gwyneth Paltrow (Foto © Nicolas Guerin). On the occasion of the SIHH (Salon International de la Haute Horlogerie), and to mark the start of a new chapter in its 180 year history, Baume & Mercier invited 950 guests to a garden party in Geneva, Switzerland. Photo: French film actress Mathilda May at the 2011 Baume & Mercier garden party (Foto © Damien Keller). 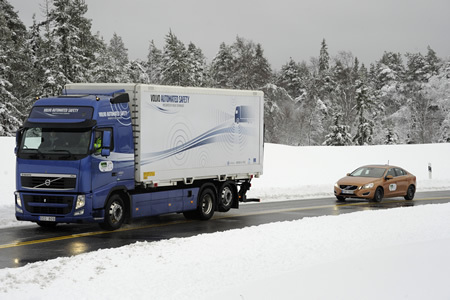 Platooning may be the new way of traveling on motorways in as little as ten years time. 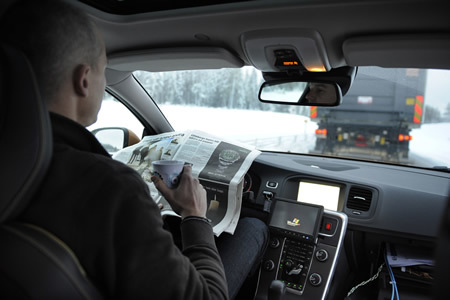 EU-financed SARTRE project has just carried out the first successful demonstration of its technology at the Volvo Proving Ground close to Gothenburg, Sweden. SARTRE (Safe Road Trains for the Environment) is part-funded by the European Commission and is led by Ricardo UK Ltd. and comprises collaboration between the following additional participating companies: Idiada and Robotiker-Tecnalia of Spain, Institut für Kraftfahrwesen Aachen (IKA) of Germany, SP Technical Research Institute of Sweden, Volvo Car Corporation, and Volvo Technology of Sweden. 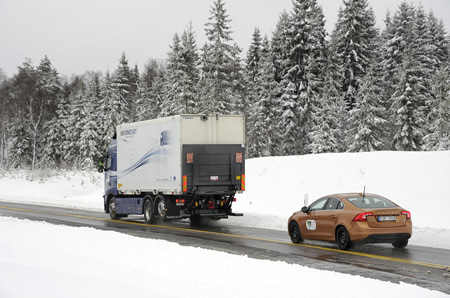 “This is a major milestone for this important European research programme,” says Tom Robinson, SARTRE project coordinator, of Ricardo UK Ltd. “Platooning offers the prospect of improved road safety, better road space utilization, improved driver comfort on long journeys and reduced fuel consumption and hence CO2 emissions. With the combined skills of its participating companies, SARTRE is making tangible progress towards the realization of safe and effective road train technology”. • Join A Road Train! Photo: Mobiles in Africa. Johannesburg, South Africa. 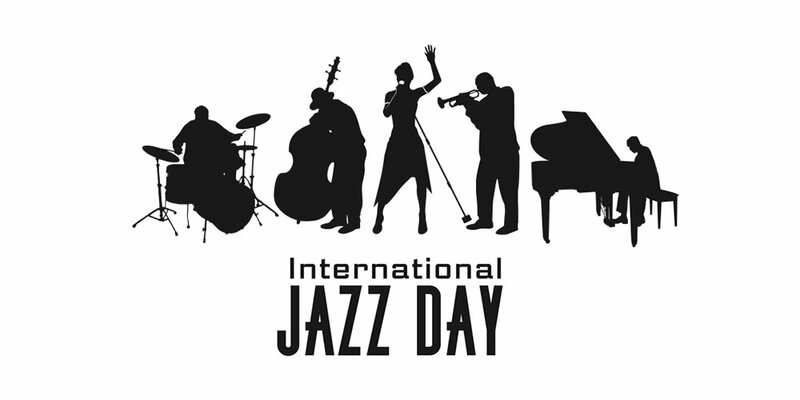 Source: GSMA & Decisive Media. Photographer: Guy Daniels. IBM and Bharti Airtel today announced the completion of contract negotiations for technology services spanning 16 African countries. As part of the 10-year agreement, IBM will deploy and manage the information technology (IT) infrastructure and applications to support airtel’s goal of providing affordable and innovative mobile services throughout Africa, the world’s fastest growing mobile market. IBM will consolidate and transform the 16 different IT environments across airtel’s African operations into an integrated IT system, and will oversee the management of all applications, data center operations, servers, storage and desktop services. IBM will deploy technologies, processes and best practices to enable airtel to offer superior customer experience. Photo: Mobiles in Africa. Lake Victoria, Uganda. Source: GSMA. Foto Credit: Howard Sayer. The agreement calls for IBM to provide customer support applications that include customer relationship management, billing, and self-service that will empower customers and assist airtel in delivering innovative and convenient 2G and 3G mobile services. The agreement extends the relationship between IBM and Bharti airtel established in 2004, when South Asia’s leading mobile communications provider selected IBM to run IT and applications for its entire network in India. Headquartered in New Delhi, India, Bharti Airtel Limited (Brand: Airtel) is an Indian telecommunications company that operates in 19 countries across South Asia, Africa and the Channel Islands. It operates a GSM network. Airtel is one of the largest telecom operators in the world and is one of the largest cellular service providers in India. Airtel has African operations in Burkina Faso, Chad, Democratic Republic of the Congo, Republic of the Congo, Gabon, Ghana, Kenya, Malawi, Madagascar, Niger, Nigeria, Seychelles, Sierra Leone, Tanzania, Uganda and Zambia. 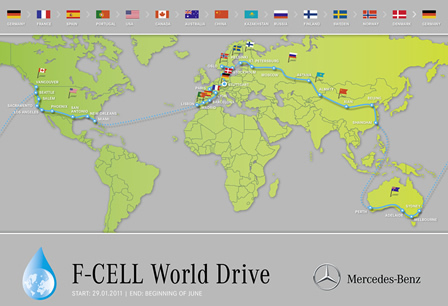 Mercedes Benz F-CELL World Drive: Around the world in 125 days. Photo: Mercedes-Benz F-CELL World Drive - 125 days, four continents and 14 countries: Starting on January 30, 2011 in Stuttgart (Germany), three Mercedes-Benz B-Class F-CELL with fuel cell drive will be driving around the globe with zero emissions. The objective is to demonstrate that electric vehicles equipped with fuel cell are technically mature and suitable for everyday use. Photo: Mercedes-Benz at the NAIAS (North American International Auto Show) 2011 in Detroit. 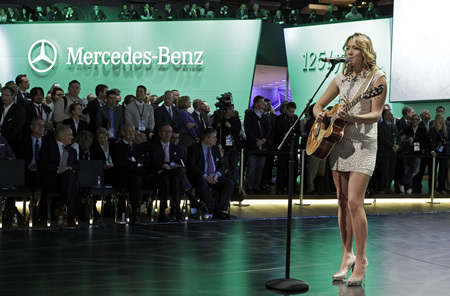 Pop singer-songwriter Colbie Caillat delighted the audience at the Mercedes press conference. 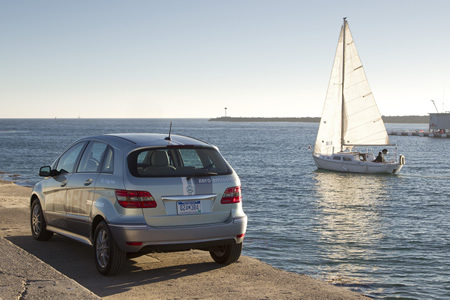 Photo: Mercedes-Benz B-Class F-CELL. With the B-Class F-CELL, Mercedes-Benz launches its first fuel cell-powered electric car produced under series production in the U.S.
Photo: Diamond Earrings. Hand made in platinum and designed by Neil Lane. 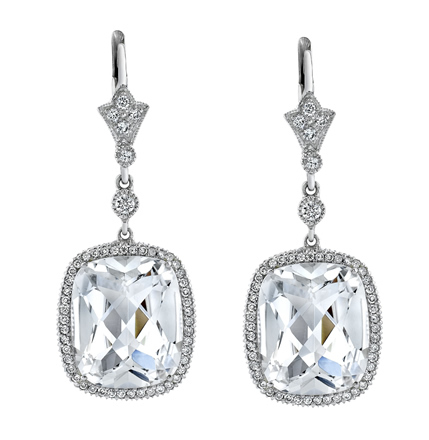 Neil Lane is a leading Hollywood jewelry designer. Photo: Southwest Windpower unveiled its newest small wind turbine - Skystream 600. Southwest Windpower today unveiled its newest small wind turbine, Skystream 600, which, according to it, could put wind energy in thousands of homes and businesses worldwide. 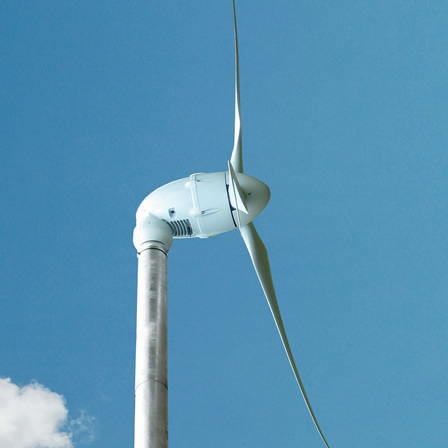 The company designs, manufactures and distributes small wind systems (400-3000 watts). According to Southwest Windpower, it has built and shipped more than 170,000 wind turbines to more than 120 countries worldwide and has sales representation in over 88 countries. 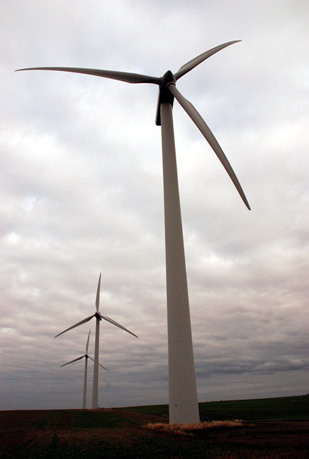 Unveiled at the 2011 International Consumer Electronics Show (CES) with the backing of GE, in Las Vegas, Skystream 600 produces energy for commercial and residential use providing an average of 7,400 kWh of clean, low-cost energy per year per household in 12 mph average annual wind speeds. Depending on the wind resource, siting and energy efficiency, a Skystream 600 could provide up to 80 percent of an average home’s energy requirements, says the company. Skystream 600 is part of GE’s “home of the future” exhibit at the Consumer Electronics Show, which showcases innovative products designed to help consumers manage home energy generation, cost and consumption. Photo: MarketStar and MediaTile have teamed up to give consumers instant access to off-site knowledge experts in a personal, face-to-face manner using MediaTile’s HumanKiosk, powered by MediaCast Video Presence, 4G networking, and MarketStar’s on-call experts. The solution enables on-call experts to cover more shopping venues at a lower cost. MarketStar, a leader in field, voice and digital sales and marketing, and The MediaTile Company, a leader in cloud-based digital signage solutions, today announced that they will be demonstrating, at the 2011 International Consumer Electronics Show (CES 2011), a breakthrough in customer engagement that will allow product experts to be personally accessible to more consumers in retail venues, when and where it is critical to provide immediate, face-to-face interactions with consumers. The breakthrough solution, called the “HumanKiosk,” can help brands, and other product or service vendors, provide experts in more shopping venues, including remote or secondary markets, without the overhead and costs associated with on-site personnel. 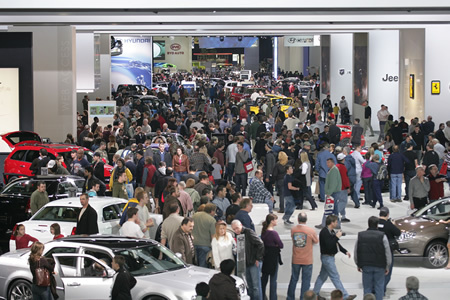 Photo: Hundreds of Thousands to Attend 2011 North American International Auto Show. Photo from the 2010 North American International Auto Show. Detroit, Michigan. Photo: NAIAS attendees will be able to experience the latest in technology in a ride-and-drive format on a track built in Michigan Hall. Photo from the 2010 North American International Auto Show. Detroit, Michigan. The North American International Auto Show (NAIAS) will open its doors to more than 4,500 automotive journalists with an anticipated 30-40 worldwide debuts from automotive manufacturers around the globe. “We’re rapidly approaching January 10th when the door of Cobo Center will once again open to the NAIAS and 2011 will be another banner year for media, industry and the public alike as they will be able to explore a packed show floor,” said Barron Meade, chairman, 2011 NAIAS. The public and media will be treated to highly anticipated debuts from exhibitors such as Audi, BMW, Chrysler, GM, Mercedes-Benz, Toyota and Volkswagen. 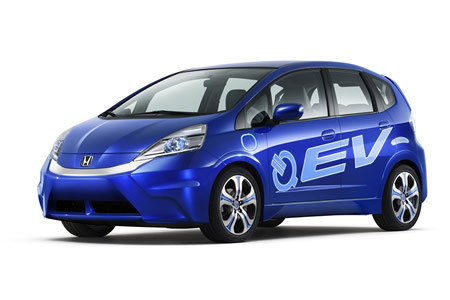 Photo: The all-new Honda Fit EV Concept electric vehicle made its world debut at the 2010 Los Angeles Auto Show on November 17, 2010. The Fit EV Concept hints strongly at the direction and styling for Honda’s upcoming production Fit EV all-electric vehicle, which will be introduced to the U.S. and Japan in 2012. In line with trends of other international automotive shows such as Geneva, Paris, and Frankfurt, the first press day, Monday, January 10, at the 2011 Detroit Show will feature exciting worldwide, never-before-seen products. The second press day, Tuesday, January 11, will showcase highly anticipated innovative technological advancements by auto companies and suppliers. • You’ll beam up your friends in 3-D. • Batteries will breathe air to power our devices. • You won’t need to be a scientist to save the planet. 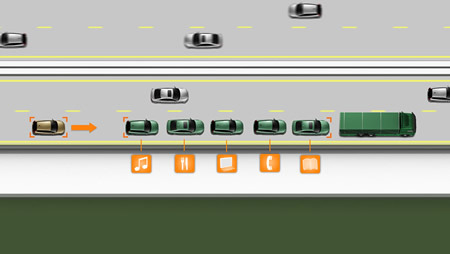 • Your commute will be personalized. • Computers will help energize your city. Photo: Copenhagen: Wind Power for Cars - These wind turbines on the Danish island of Bornholm will supply power to recharge electric vehicles as part of a pilot project designed to increase the use of EVs and lower greenhouse gas emissions. The EDISON Project is being developed by Copenhagen utility DONG Energy, regional energy company of Oestkraft, the Technical University of Denmark, Siemens, Eurisco and the Danish Energy Association, and IBM, with a goal of creating a nationwide system that could support more 200,000 EVs. In the next five years, 3-D interfaces - like those in the movies - will let you interact with 3-D holograms of your friends in real time. Movies and TVs are already moving to 3-D, and as 3-D and holographic cameras get more sophisticated and miniaturized to fit into cell phones, you will be able to interact with photos, browse the Web and chat with your friends in entirely new ways. Scientists are working to improve video chat to become holography chat - or “3-D telepresence.” The technique uses light beams scattered from objects and reconstructs a picture of that object, a similar technique to the one human eyes use to visualize our surroundings. You’ll be able to see more than your friends in 3-D, too. Just as a flat map of the earth has distortion at the poles that makes flight patterns look indirect, there is also distortion of data - which is becoming greater as digital information becomes “smarter” - like your digital photo album. Photos are now geo-tagged, the Web is capable of synching information across devices and computer interfaces are becoming more natural. Scientists at IBM Research are working on new ways to visualize 3-D data, working on technology that would allow engineers to step inside designs of everything from buildings to software programs, running simulations of how diseases spread across an interactive 3-D globe, and visualizing trends happening around the world on Twitter - all in real time and with little to no distortion. 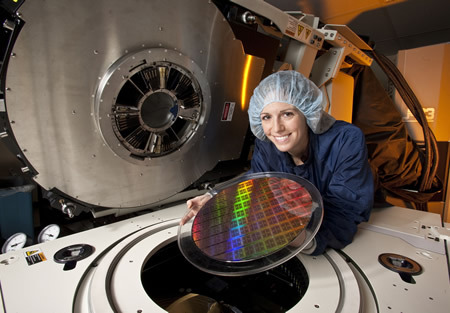 Photo: IBM Test Engineer Sara Lestage holds a 300mm POWER7 processor wafer next to a wafer test tool. The University of Lugano, Switzerland, has been awarded an IBM Power 755 server, which contains a POWER7 processor, as part of a grant to collaborate with IBM to advance the design of future computer systems and applications for multi-core processors. The result would be battery-free electronic devices that can be charged using a technique called energy scavenging. Some wrist watches use this today - they require no winding and charge based on the movement of your arm. The same concept could be used to charge mobile phones, for example - just shake and dial. Photo: IBM is helping GM standardize their vehicle design on fewer software tools and a common, collaborative design process, further enabling global engineering teams to work more effectively and seamlessly. Simple observations such as when the first thaw occurs in your town, when the mosquitoes first appear, if there’s no water running where a stream should be - all this is valuable data that scientists don’t have in large sets today. Even your laptop can be used as a sensor to detect seismic activity. If properly employed and connected to a network of other computers, your laptop can help map out the aftermath of an earthquake quickly, speeding up the work of emergency responders and potentially saving lives. Photo: IBM Predictive Analytics Software Helps Marwell Wildlife Analyse Data to Improve Conservation Measures for Grevy’s Zebra. Grevy’s zebra are an endangered species with less than 2,500 individuals in the wild. Up to 50 percent of the energy consumed by a modern data center goes toward air cooling. Most of the heat is then wasted because it is just dumped into the atmosphere. But with new technologies the thermal energy from a cluster of computer processors can be efficiently recycled to provide hot water for an office or houses, says IBM.